How to Troubleshoot Unrecognized HP 131A Toner Cartridges in Your Printer | TonerGreen - Eco-Friendly Toners from the U.S. So you happen to install new replacement HP 131A toners in your HP LaserJet Pro 200 M251nw or HP LaserJet Pro 200 M276nw but after your did, your machine doesn’t stop notifying you that it’s toner level is still low or that the cartridges are missing. Hold your horses and don’t dial the phone yet to rant the customer service of the online shop you bought your hp toner cartridges. First and foremost, let me explain that this type of error happens most of the time especially when you’re installing alternative printer cartridges such as remanufactured or compatible toners. This doesn’t mean though that the product is defective, it just happens that the HP LaserJet Pro 200 M251nw or HP LaserJet Pro 200 M276nw are programmed to recognize HP genuine supplies only or the OEM HP toner cartridges. That’s why when you try to install new alternative cartridges into it, the printer will not recognize it immediately. So you have to do a troubleshooting technique that involves resetting your machine. And that’s what we’re going to provide you for this day, here’s an instruction on how to reset your HP LaserJet Pro 200 M251nw or HP LaserJet Pro 200 M276nw during this type of error. 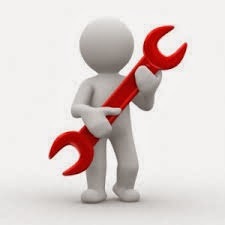 By resetting your printer, you might also resolve certain errors or issues when printing, scanning, or faxing, such as: (1) the printer does not turn off, (2) the printer does not respond to any button presses and (3) you cannot close any other error message or error code that displays on the printer control panel. Step 1 - Press the Power button to turn on the product. Step 2 - With the product turned on, disconnect the power cord from the rear of the product. Step 3 - Unplug the power cord from the wall outlet. Step 4 - Wait at least 15 seconds. Step 5 - Plug the power cord back into the wall outlet. Step 6 - Reconnect the power cord to the rear of the product. Step 7 - If the product does not turn on by itself, press the Power button to turn it on. 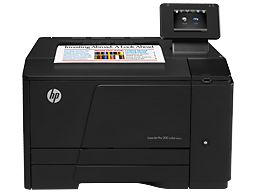 If the procedure doesn’t still work after you have done so, then it’s time for you to ask for replacement cartridges or check the components of your HP laser printer to make sure that there are no problems in it. Just maintain your calm and you can solve this problem. Thank you so much for this! I just found your site yesterday and have been pouring over it ever since. This printer post is extremely helpful and something I never knew about.Thanks for sharing.